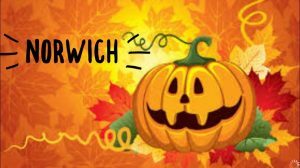 Come and join the Halloween fun with Cookies Kitchen! Cookies Kitchen is coming to Limelight Studios with their spookily themed Mini Cookies workshop, just in time for Halloween. This session is perfect for preschoolers who love to cook and for those looking for a fun and educational class, to engage your little ones to find out more about the food we consume. What will the Haloween session involve? Join Cookies Kitchen for a fun packed, halloween themed session. The children will be carving spooky faces into peppers before stuffing them. Then, there will be an activity to make witches hats from Carol’s homemade biscuits. These biscuits will then be enjoyed with a glass of “bats blood punch” as we sit round and listen to our topical book of the day, Room On A Broom. Founded in 2005, Cookies Kitchen is an established cookery school offering a variety of courses for a range of age groups. Headed by Carol Lumbard, Cookies Kitchen educates and entertains hundreds of young people every year. With an experienced team alongside Carol, Cookies Kitchen offer an unrivalled experience. Carol has an extensive history and natural interest in cooking. Starting at an early age, Carol grew up in a corner shop run by her parents. From a young age, Carol remembers bagging potatoes to earn her pocket money! When not in the kitchen Carol can be found walking her crazy black Springador, Jasmine through the farm, usually scrumping fruit or foraging in the vast hedgerows.